Every year around this time, two related trends accelerate in a big way. Customers begin to open their wallets, and business begin to bombard consumers with holiday marketing campaigns to influence their spending. It makes sense. On the part of the customers, the holidays season is a time spent showing loved ones how much they mean. On the part of businesses, this translates into billions and billions of dollars of revenue during the final six weeks of the year. 1) Promo Codes – Promotional codes provide customers with an incentive to make a purchase, because they feel appreciated knowing they are getting a deal. 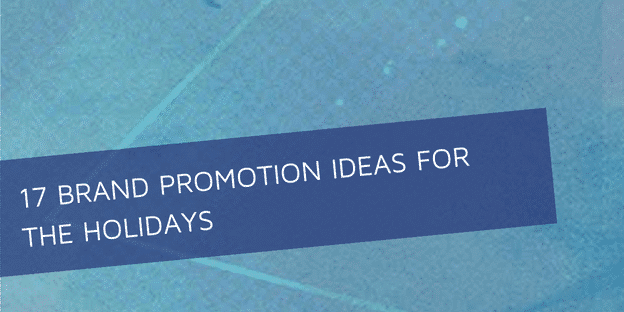 Hint: promo codes work better with a deadline, so be sure to use one. Another plus: promo codes are easy to track, so you can gauge ROI and effectiveness easily, then refine your strategy for later in the holiday season or for the following year. 2) Free Shipping – Another incentive that customers gravitate towards is free shipping. A fair number of people get all the way to the shopping cart page where shipping costs are calculated and then detour from the purchase at that point. (The percentage depends on field, of course.) Free shipping is a way to ensure this obstacle vanishes. You can offer free shipping above a certain threshold (purchases of $50 or more, for example) to further spur spending. A great way to offer free shipping: a special promo code! 3) Gift Cards – The vast majority customers (80% and rising) purchase gift cards during the holidays. And the recipients end up spending more than face value, usually 20% more than that value. Make sure you’re using gift cards if you are able, and incentivize them if at all possible. Don’t be shy about advertising your gift cards during the holidays. 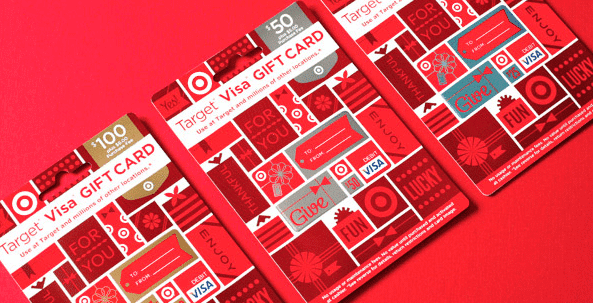 These gift cards from Target strike the right note. 4) Free Gift – Everybody loves a freebie, and not many things drive sales better than a free gift. Offering a bonus gift encourages customers to click that “buy” button, especially something that is related to the original purchase. Here’s an easy idea: if all else fails, the “gift” you offer can be classy gift wrapping. 5) Money Back Promotion – A great way to make your customers feel appreciated and also encourage them to spend more with you in the future is by rewarding purchases with “money back.” For every $100 somebody spends, they receive $10 more to be spent with you before the end of the year. Whatever the exact amounts, they’ll be spending it with you. All of the ideas above can work at any point during the year. However, you should certainly utilize these strategies during the holiday season to take advantage of a great opportunity. Run a holiday photo contest – Ask your customers for photos of them using your products with a holiday theme. The winner receives your holiday best seller. 7) Everybody Loves Stocking Stuffers – If you have a product that would make a good stocking stuffer, market it as such. Offer a discount for multiples purchases (think 4-6), because many people buy more than one of the same stocking stuffer. Tailor your pitch to each and get in on the action! 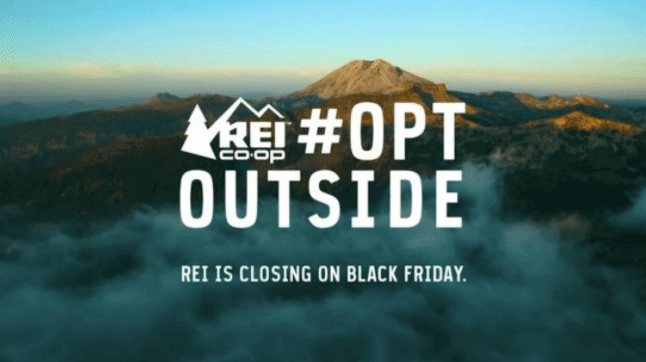 This campaign from REI encouraged people to spend Black Friday outdoors … then return to shop the next day. 9) Daily Deals – Why stop at the “mini-holidays” above? Everybody loves a “countdown to Black Friday” or, if you’re a company what embraces specific holidays as part of your brand, “the 12 Days of Christmas” or “8 Days of Hanukkah.” It’s fairly impossible to celebrate the season too much these days, as long as you respect and maintain your brand while doing so. 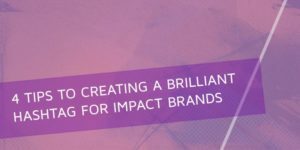 10) Support a Charity – Needless to say, Brands for the Heart supports partnering with a charity that will showcase where exactly your brand’s heart is. Charities raise a tremendous percentage of their annual funds during the holiday season, when generosity (and end-of-year tax implications) are on people’s minds. By supporting a charity through the donation of a portion of sales, everybody wins. It’s good for business, good for the consumer, and good for the cause. And of course, it’s good for the heart. 11) Collaborate – We love collaboration at Brands for the Heart, and during the holidays is no different. Collaborate with another business to offer discounts, freebies, or other special opportunities (and they’ll of course do the same for you). A great way to gain exposure, increase sales, and share the love during a special season. 12) Gift Guides – How many customers get overwhelmed during the holidays? Lighten their load by offering a gift guide that helps them cross off their lists. You can create a general offer or create separate offers for different audiences. Some ideas to consider: gifts for dads, gifts for your wife, gifts for your grandkids, 10 gifts for under $15, etc). These gift guides by Elle have great ideas! 13) Loyalty Program Offers – If you have a loyalty program, be sure to offer members exclusive offers during the holidays. This will ensure they feel appreciated, spend more, and hopefully encourage others to join the program (so don’t be shy about advertising). 14) Specify – If you have the capacity to target certain audiences with specific offers or purchase recommendations, it is well worth the time to do so. For instance, if you have a certain product with a high price point and can separate your marketing efforts by income level, send the recommendation to a targeted audience. Inform recipients the offer has been made with them in mind. Linking customers with an ideal product makes it easier for everyone. 15) Early Bird Specials – Get a head start by offering discounts with a deadline for those who purchase before a certain date. Because many people who shop early tend to be those searching for a deal, perhaps offer a deep discount on inventory you would especially like to sell. 17) Promote a Hashtag – Everybody loves a brilliant hashtag. Remember to keep it clean and simple. Also, remember that your hashtag should always reflect your brand … holiday appeal a bonus! Want to know more about naming your business, branding your business, re-branding your business, branding a startup, creating a tagline, creating a manifesto, creating a vision statement, creating a logo, or anything else about getting your company where you want it to be? Please contact us today! And be sure to join me on Facebook Live every Tuesday.